The TempcorderTM active RFID tag family from Hong Kong RFID Ltd. would be the best choice for applications in environment control and hazard prevention. With new product releases, clients can enjoy more benefits with just a tiny tag, designed with powerful features, providing users with a comprehensive and unparalleled experience. The TempcorderTM tag family consists of a series of environment sensing active RFID tags equipped with accurate sensors and powerful RFID functionality. Each model demonstrates unique features with careful product designs, providing users the most flexibility in applying tags on different objects as well as in any harsh environment. Every TempcorderTM tag provides accurate temperature readings, enabling measurement of temperature in various conditions. For instance, Extreme Tag HKRAT-PT02 is equipped with an external probe which can detect temperature range of –200°C to +500°C. 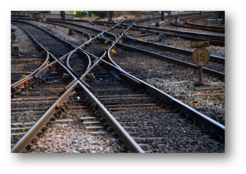 Temperature data in extreme locations and objects, such as electric meter rooms and rail tracks, can thus be obtained effortlessly which may not be possible when done manually or traditionally. With a unique ID for each tag, instant temperature and/or humidity information measured are being sent along with the tag ID to the reader and then the central server periodically, empowering accurate and timely data for strict environment control and monitoring applications. Any unusual temperature conditions would trigger alarms to inform operators. Hazards due to overheating or dangerous temperatures would be warned and immediate actions can be made. In any application requiring strict control of a given temperature to be kept stable or temperature information in hard-to-reach locations are critical, our TempcorderTM series would make the perfect choice. Different tags in the Tempcorder™ series are suitable for applications in almost all industries to manage and control diverse processes and ensure the operation of workflows at the lowest failure rate. 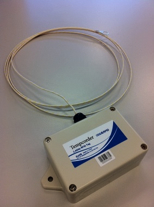 Sensors in Tempcorder™ series tags detect temperature or humidity changes in server rooms, communication racks or document rooms in organizations in a real time manner, while the air-conditioner and dehumidifier could be adjusted automatically according to the data captured by the tags to make sure dryness and temperature in the locations as well as prevent overheating or fire of documents. 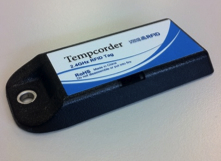 To achieve fast, flexible and cost effective monitoring in transportation infrastructure, a Tempcorder™ tag is ideally suited to control functionality problems such as engine, brake and track overheating, especially for the underground railway where manual measurement and monitoring is difficult. Extreme Tag HKRAT-PT02 of the Tempcorder™ family has a temperature sensing probe of wide sensing range of -200°C to +500°C which could be placed in contact with railway tracks to closely monitor and prevent temperature from rising above a certain level. Other similar applications that Tempcorder™ tags could be applied in are for airplane hangars, road or mining tunnels and elevators. Early sensing and detection of unusual conditions is of critical importance in the industry to prevent detrimental accidents. Our TempcorderTM tags help achieve more accurate and timely control by detecting any changes in temperature or humidity due to intrusion at the early stage for maintenance and prevention. Sense Tag HKRAT-TT02 which is of IP65 standard could be attached to pipelines to detect any temperature change which might be a result of leakages. Temperature and moisture sensors of Tempcorder™ tags help greatly enhance the understanding and monitoring of soil displacement and hydrology processes, especially in instable regions. Moist Tag HKRAT-HT01 which is equipped with a humidity sensor could be used to obtain detailed temperature and humidity data to facilitate the planning and development process of geotechnical projects as well as to reduce risks during implementation. The TempcorderTM series is believed to achieve a breakthrough in environment control and monitoring areas with its excellent reading range and reliability. Hong Kong RFID Ltd. has always endeavored to strive for innovation in product functionality and aesthetic designs; The TempcorderTM series reflects our commitment to innovation and setting new standards in the market.